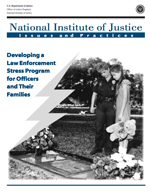 We talk a lot in law enforcement about having a strong will or inner spirit. We discuss being warriors or being brave and true, but do we really ever take time to analyze or decide if those things are true? Do we ever spend any time cultivating a true, written code of our behavior? A lot of global history talks about the Way of the Warrior and the Code of Chivalry. If we are indeed modern Warriors should we not be driven by those same kinds of codes? My question for you is that if you don’t have one of those kinds of doctrines in writing then the best person to write it is you! I’ll give you a head start here but… focusing on only one small part of an overall Warrior’s Code – Your Inner Spirit. I believe that if you want to build Tactical Resilience™ or intentional resilience you have to strengthen your inner spirit through regular conditioning. Regular conditioning for your spirit requires learning, writing, thinking and discussion. It’s like going to the gym for you spirit but the work goes on INSIDE of you! Just like with the regular gym, if you don’t do the work, you don’t get any stronger. Let’s take a little quiz about how strong your inner spirit really is – Are you ready? What does the term Inner Spirit mean to you? How does your Inner Spirit relate to your being a warrior? What is spirituality? How is that like or different from religion? What are your strongest beliefs or Values? What is your personal mission in life? Do you have your own “Words To Live By”? Are you a person of “Character”? – If so, how would you describe your most powerful character traits? You might also write out a list of your strongest beliefs or Core Values – What beliefs are most important to you that you will not waiver on? Write your own personal and also professional Mission Statements. Some examples of credo statements can be found in our CopsAlive articles CLICK HERE for our article entitled What’s Your Credo? 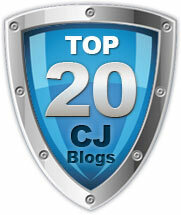 and CLICK HERE for our article entitled A New Credo For Law Enforcement. I believe that a Credo should be short and sweat so that you can remember it and say it out loud in one or two sentences. You decide what works for you and have some fun writing one that works for you. From their book: The Leadership Challenge James M. Kouzes and Barry Z. Posner contributed this simple process document and credo creation worksheet. CLICK HERE to download Kouzes’ and Posner’s Credo Process and Worksheet. Here is a newer version of the Credo Worksheet created by Police Chaplain Phil LeConte as an educational initiative in the CREDO PROJECT from The Police Chaplain Project. I hope this exercise was helpful to you. You can also learn more about writing a personal mission statement and credo in the book Armor Your Self™: How To Survive A Career In Law Enforcement available here in our CopsAlive Store or on Amazon.com in paperback or Kindle. Stay Safe, and Stay Well! Remember to take good care of your “Self”! STARTING NEXT WEEK WE ARE GOING TO CONVERT COPSALIVE TO A VIDEO BLOG – Stay tuned to see how that turns out! 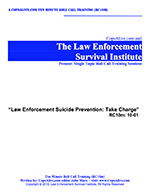 CopsAlive is written to prompt discussions within our profession about the issues of law enforcement career survival, health and wellness. We invite you to share your opinions, ask questions and suggest topics for us in the Comment Box that is at the bottom of this article. CopsAlive.com was founded to provide information and strategies to help police officers successfully survive their careers and improve their heathy, wellness and effectiveness. 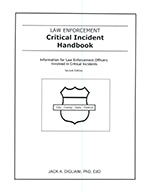 We help law enforcement officers and their agencies prepare for the risks that threaten their existence. Thank you for reading!